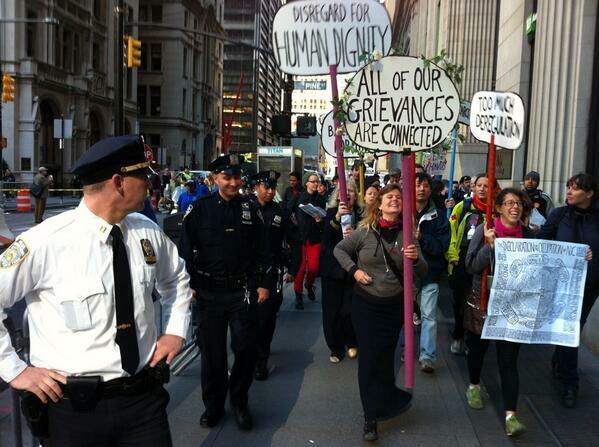 OWS Anniversary March, Sept. 17th, 2013. You can read the review at http://america.aljazeera.com/articles/2013/9/17/occupy-books.html. Some excerpts are also available to read at the usual online book outlets. There are some excellent first hand accounts & photos of S17 in New York from our friends in Newport, Vermont’s ‘Northeast Kingdom 99%’ group, now online at http://www.occupynek.blogspot.com/.